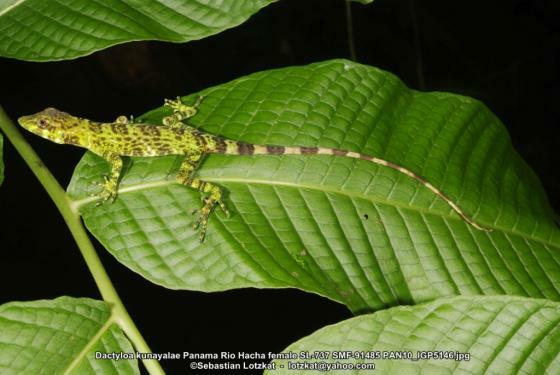 Can you confirm these amateur observations of Anolis kunayalae? Diagnosis Diagnosis. A large species (maximum SVL 109 mm) of the genus Dactyloa (sensu Nicholson et al. 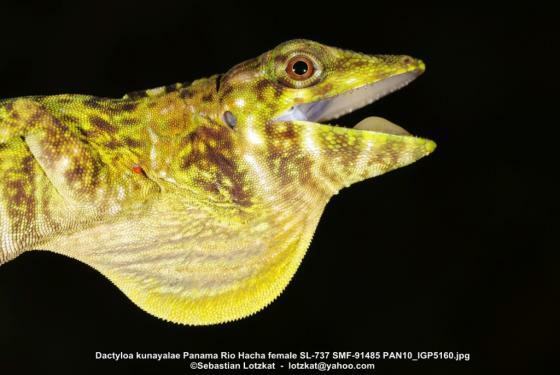 2012) that is most similar in external morphology to the other members of this clade found in western Panama (D. casildae, D. frenata, D. ginaelisae, D. ibanezi, D. insignis, and D. microtus). 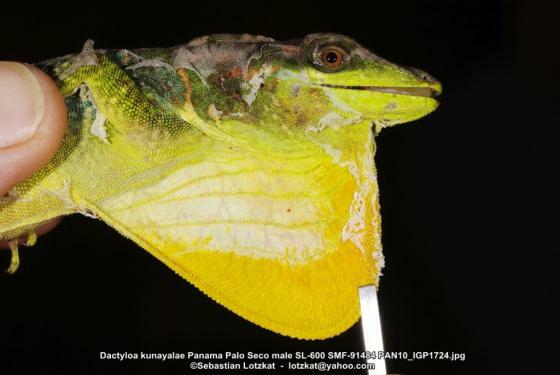 Dactyloa kunayalae can readily be distinguished from these six species by its coloration (described below, shown in Figs. 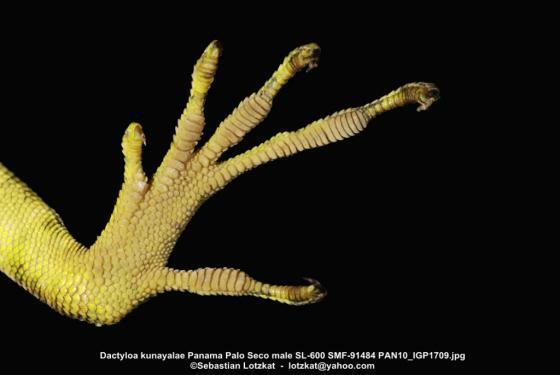 2 and 15), and by the morphology of its toes: In contrast to the other species, D. kunayalae has narrow lamellar pads that are barely dilated under all toes and fingers, a distal phalanx (including claw) of the fourth toe that is longer than phalanges ii and iii combined, and the lowest number of subdigital lamellae under the fourth toe (35 or fewer in D. kunayalae vs. 38 or more). Moreover, it has fewer subdigital lamellae under the fourth finger than the other species except D. ibanezi (25 or fewer in D. kunayalae vs. 29 or more). In addition, D. kunayalae differs from D. casildae, D. frenata, and D. ibanezi in having short legs (tip of fourth toe of adpressed hind limb reaching to tympanum in D. kunayalae) [LOTZKAT et al. 2013]. 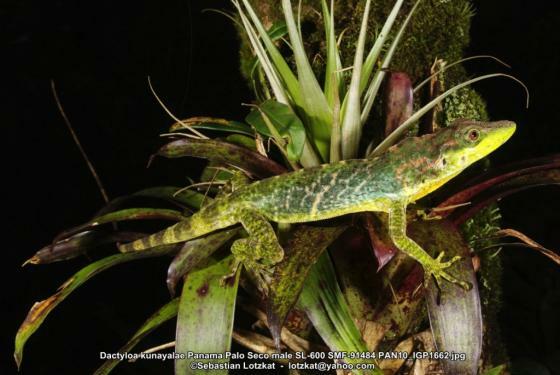 Comment Similar species: This form is most similar to South American Anolis mirus and A. parilis but differs in color pattern and scalation. Species group: Dactyloa latifrons species group (NICHOLSON et al. 2012).